How can we have less pain and suffering in our lives? Is it by avoiding or by embracing our feelings? 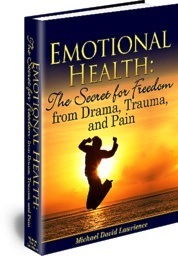 Healing Emotional Pain: My book “Emotional Health: The Secret for Freedom from Drama, Trauma, and Pain” is an owners manual describing practical methods to release your physical pain and for healing emotional pain, suffering, and emotional distress. This book shows you how to embrace your feelings rather than continually avoiding them. 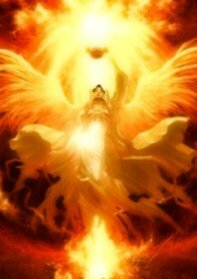 This skill once mastered brings us relief from suffering, for instance feeling empowered rather than victimized. The book shows you how to become more aware of your critical, negative self-talk and how to change it to have more success and happiness rather than having your unconscious sabotage you. This book shows you how get in touch with your wounded inner child and begin healing that emotional part of you that in the past ran your life with repeating patterns of drama and trauma. This book shows you how to recognize your codependent patterns in abusive relationships and how to begin recovery by becoming aware of your needs and feelings and expressing them and also by practicing setting healthy personal boundaries. Finally, this book shows you how to recognize your unconscious shadow – the parts of ourselves which we dislike – which healed reveal new strengths and creative abilities. Other books in my genre of health/mind/body explore one area of improving awareness and releasing pain and suffering to improve your physical/emotional health. I, however, give you five areas with stories, techniques, and tips for greater happiness and success and healing emotional pain. Freedom from suffering and trauma takes you on a journey through the lives of over thirteen people who have endured years of physical and emotional suffering. They describe how to release trapped emotions such as anger, depression, and grief from the physical body, as well as chronic physical pain. People also describe healing emotional pain of deep-seated wounds from sexual and mental abuse, as they encounter a growing empowerment for the first time in their lives. Through reading and using the methods in this book your emotional health will improve, you will gain greater awareness of your emotions and how they affect your thoughts and behaviors. You will learn more about your strengths, as well as your weaknesses and how to turn them into strengths. You will increase your levels of self-esteem and confidence. You will gain skill in taking charge and managing your emotions in healthier ways. Most important, you will have greater choices to be proactive rather than reactive as you did in the past and suffered at the mercy of emotional dramas. In addition, you gain the ability, as well as understanding to express your feelings and needs easier. You will also have and maintain healthier relationships with better communication, work with less conflict with others, and manage your own conflicts easier as well, as healing emotional pain. My purpose is to inspire you in healing emotional pain and increasing your self-awareness and happiness. Part 1 Overview – Improving emotional health, easing pain, healing ourselves, healing physical/emotional abuse and healing emotional pain , facing our fears, & stabilizing our minds. Part 2 Overview – Empowerment from codependency, caring for ourselves, healing physical pain as well as healing emotional pain, causes behind physical pain, & healing sabotage of our success. Part 3 Overview – Making conscious choices, path of the heart, paths of service, global paradigm shift, & spiritual awakening. Michael as a previous Residential and Self-Esteem Coach and Mentor has over 15 years’ experience teaching teen’s self-awareness, self-esteem, and self-reliance. 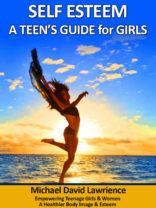 See eBook Self Esteem- A Teen’s Guide for Girls Self Esteem- A Teen’s Guide for Girls This book is valuable for women also.